It is a new school year with new opportunities for your child to grow, but the cyber world could get in the way. Today’s electronic amusements captivate the minds of young people, leaving the comparatively mundane rhythms of school in the dust. 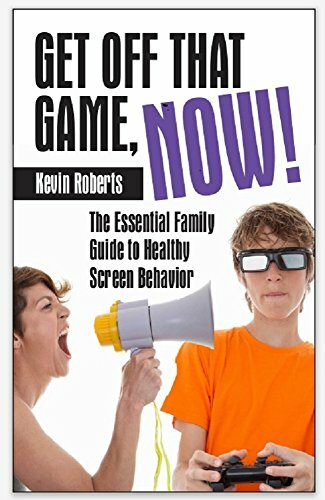 Even the best teachers struggle to hold the attention of children who are entranced by the instant and multifaceted gratification offered by video games, cell phones, iPods and the Internet. The brains of today’s children are tuned to a different channel. Some of us have brains, on the other hand, that make us susceptible to tech addiction. When I grew up in the seventies, the pace of life instilled patience. There was no television before 8am. I remember waking up with my brother on Saturday mornings to watch the colored bars on the TV, as we patiently, albeit with great anticipation, awaited the start of our weekly four-hour-cartoon marathon. There were so few TV offerings that when Charlie Brown television specials aired, everyone in school watched them and talked about them the next day. Children now have an endless array of electronic entertainment opportunities and waiting is not required. Time warp: inability to determine time spent in cyber activities. Changes or disruptions in sleep. Losing interest in other hobbies and recreational activities. Spending more than three hours a day. Physical pain: backache, carpal tunnel syndrome, nerve pain, eye strain. Emotional disturbance when access to the cyber world is taken away. Withdrawal symptoms like headache, malaise, light-headedness. Continued excess despite serious adverse consequences. Ever-increasing amounts of time in the cyber world. When children make their way to me in my practice as an academic coach, three-fourths of the time their poor grades are accompanied by excessive cyber activities (i.e., three or more of the above symptoms). I often discover that children had been texting prolifically during the school day and not, as a result, been paying attention during class. Young people are remarkably clever at concealing their phones. In many cases, I have had students come to me who seemingly had sleep issues, only to find that late night gaming and Internet use kept them from slumber. Some play fantasy games like World of Warcraft until the wee hours of the morning, while others stay in touch with friends on Facebook, Twitter, and texting. Parents are usually shocked to learn of their children’s nocturnal activities as well as the full scope of what goes on during the school day. For many kids, access to cyber privileges can be a potent motivational carrot. It is not easy to find such tools with children, so I encourage parents to take full advantage. If you are an involved-enough parent to realize your child spends too much time in cyber land, you will probably agree that other responsibilities at home and school get neglected. The solution to this situation is simple: link cyber privileges to successful completion of chores, fulfillment of responsibilities, and performance in school. If you get involved when they are young, you will help ensure that the cyber world enhances your child’s potential for success instead of destroying it. I don’t have a teen, ,I have 51/2 yr. old fraternal, male twins. One, is addicted , I am convinced, the other will play, but still, participates in playing with toys, trucks, legos’s etc. I strongly feel that even educational children’s materials for education promote physical, and emotional issues. An example, is learning to print letters. On an iPad the muscles used are minimal, along with music, and animations…cheering at every correct action. Writing letters with a pencil in school, requires a pencil, paper, and quiet focus. These children are not developing the fine motor skills, nor muscles required to push out a proper letter. That would present many more issues. I am retired,and children were born later in life, however, I understand your point. First time , I have read an article that was clear in intent, and content. Judith, I appreciate your remarks and certainly resonate with your predicament. When we use technology to perform all academic tasks, or most of them, I worry that we are going to find we also lose important aspects of multisensory learning, like the kinesthetic act of writing with a pencil or pen. Thanks so much for chiming in!